The Trump administration's drug pricing czar Dan Best has died, HHS announced on Thursday. Best left the pharmacy benefit manager world at CVS Caremark to spearhead the Trump administration's drive to lower drug prices. 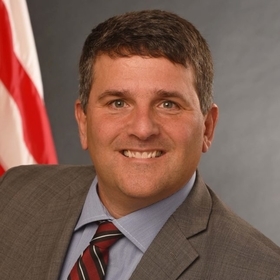 He joined the administration as a senior advisor to HHS Secretary Alex Azar in March and the White House unveiled its drug pricing blueprint in May. "It is with tremendous sadness that I learned of the passing of our friend and colleague," Azar said in a statement. "I had the great privilege to know Dan Best for the past decade. He joined me here at HHS out of a desire to serve the American people by making healthcare more affordable. He brought his deep expertise and passion to this task with great humility and collegiality." HHS' statement did not include details of Best's death. "All of us who served with Dan at HHS and in the administration mourn his passing and extend our thoughts and prayers to his wife Lisa and the entire Best family at this difficult time," Azar said. On Tuesday, Best published a question-and-answer blog on HHS' website about the administration's latest proposal to benchmark U.S. drug prices at the levels paid in other countries, known as the international price index model. Best worked at Pfizer Pharmaceuticals from 2001 until 2005. He started working at CVS in 2011 as PBM vice president of trade relations at CVS Health in Ohio before a promotion to vice president of industry relations for Medicare at CVS Caremark in 2013. He worked in that position until Azar recruited him to HHS. Azar has touted Best's background as positioning him to close loopholes in the supply chain that raise prises for the consumers. At an event at the conservative Heritage Foundation in late July, Azar specifically called him out for his work on the drug pricing initiative. Best's PBM background boosted his "tremendous insight on how the plans work," Azar said.